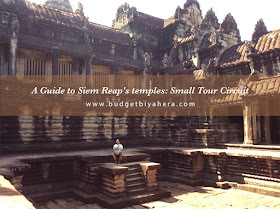 Several shrines like Banteay Kdei, Ta Prohm, Ta Keo and Angkor Thom (these were the ones that we've personally been to) can be seen along the small tour circuit. Plenty of other temples can be discovered on this route starting with the famous Angkor Wat. TIP: Always bring your admission pass because you'll need to show it to gain access to the temples, especially the major ones. Usually, when you hear about Cambodia, Angkor Wat would usually come to mind. It is in fact, the most recognized structure in Siem Reap given its massive three-tiered pyramid, crowned by five lotus-like towers. Its archaeological significance echoes that of the Taj Mahal as it's just as visually and artistically stunning. The temple was built as a dedication to the Hindu God, Vishnu. It was also created during the early to mid-12-century C.E. as a state-temple under the order of King Suryavarman II (perhaps constructed as his funerary temple). TIP: Make sure to check the bas-reliefs on the Angkor Wat's south wall. It's where the king's successfully-led campaigns are carved and recorded. Banteay Kdei (once a Buddhist Monastery), which was created during the late 12th to early 13th century C.E., was built under the rule of Jayavarman VII. 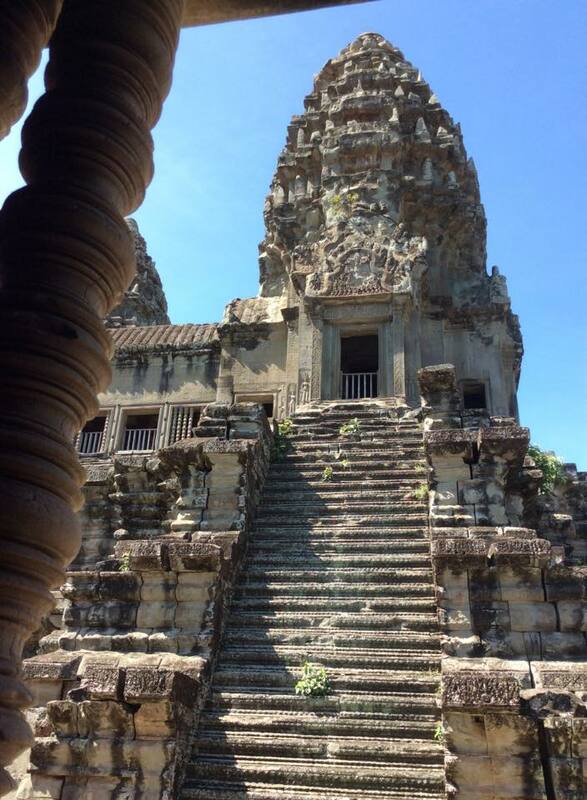 It was created with a similar style as Angkor Wat and Bayon (just as strikingly beautiful). Banteay Kdei's deterioration was quite visible when we visited three years ago (due to a poor choice of materials and construction techniques). Fortunately, restoration was already ongoing. When you think of Siem Reap, images of those enchanting 'tree-in-temple' sites would usually come into view. 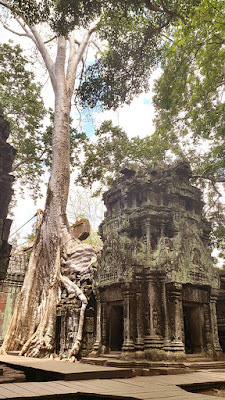 So when we finally visited this particular temple, I couldn't help but replay scenes from the movie Tomb Raider (where Lara Croft was portrayed by Angelina Jolie) when we finally arrived in Ta Prohm - where towering silk-cotton trees and figs grew out of the ruins - a recognizable feature of the Angkorian temple. Other than the Angkor Wat, Cambodia's 'Tomb Raider' temple became a favorite site of ours during the small tour circuit. The captivating Ta Phrom temple, which was built during the mid-12th to early 13th century C.E., was created as a dedication to Jayavarman VII's mother (also in honor of Prajnaparamita, Mahayana Buddhism’s Goddess of Wisdom). 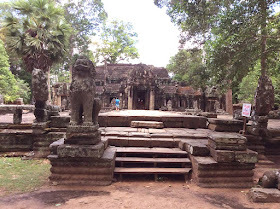 We were still able to explore parts of Ta Keo despite an ongoing restoration. While it looked smaller compared to all the other temples in the park, Ta Keo stood quite beautifully with its sandstone-made temple-mountain. It (built during the late 10th and early 11th century C.E.) was made as a dedication to the 'Great God', Shiva. Angkor Thom, the last capital of the Angkorian Empire, was built during the late 12th to early 13th-century C.E. 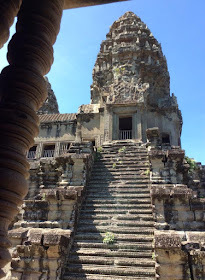 You will find temples and ruins such as Bayon, Baphuon, Terrace of the Leper King and Terrace of the Elephants within its 3-kilometer walled city. You'll easily recognize Baphuon by its three-tiered temple, and Bayon by its 'smiling' giant, stone faces and beautifully carved bas-reliefs. You'll also find the Terrace of the Elephants, as it's just located in front of the Baphuon temple (adorned with carved elephants and Garudas). According to Lonely Planet, Banteay Srei is "considered by many to be the jewel in the crown of Angkorian art, Banteay Srei is cut from the stone of a pinkish hue and includes some of the finest stone carving anywhere on Earth. Begun in AD 967, it is one of the smallest sites at Angkor, but what it lacks in size it makes up for in stature." 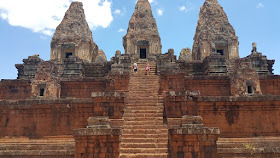 The trip to Banteay Srei (or Banteay Srey) can take more than an hour. But the moment you arrive, you'll know that the long road trip was worth it. TIP: Try to do this tour first thing in the morning because it's quite far from the city (about 25 km).